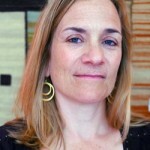 Tracy Chevalier will be appearing at the Festival on Saturday 16 November. She is the author of seven novels, and her second novel Girl with a Pearl Earring won the Barnes and Noble Discover Award. It has sold almost four million copies worldwide and was made into a film starring Colin Firth and Scarlett Johansson. Her new novel The Last Runaway was published this year. She grew up in Washington, DC and after university moved to London, where she lives with her husband and son. She worked in publishing for several years before doing an MA in creative writing at the University of East Anglia. She has been Chair of the Society of Authors, and judge of the Jewish Quarterly Prize, the Bridport Prize, the Royal Society Science Book Prize, and the Orange Prize. 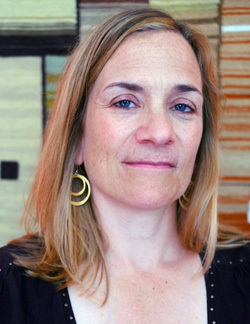 Tracy Chevalier, in the flesh, at the Lavenham Literary Festival, Saturday 16 November.